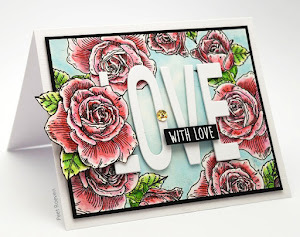 Penny Black: Valentine Dance Slapstick/cling stamps, Love Buds creative die, "Mix & Match"Papers. 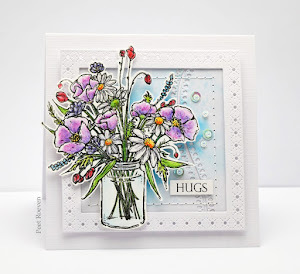 Spellbinders:Circles & Scalloped Circles, Red Buttons, Glossy Accents. 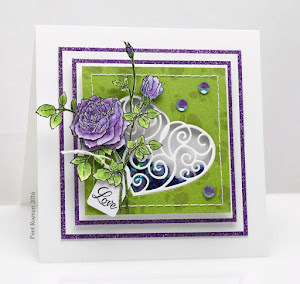 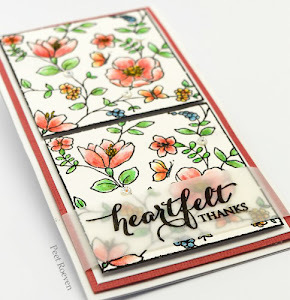 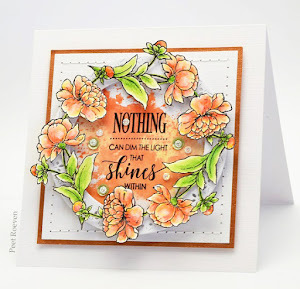 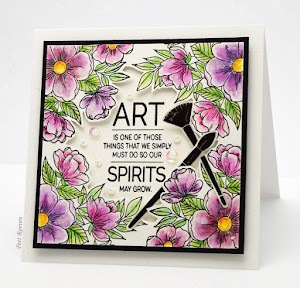 For this card was used the Heart Swatches stampset & Love Buds dies from Penny Black's newest collection, Sending Hugs. 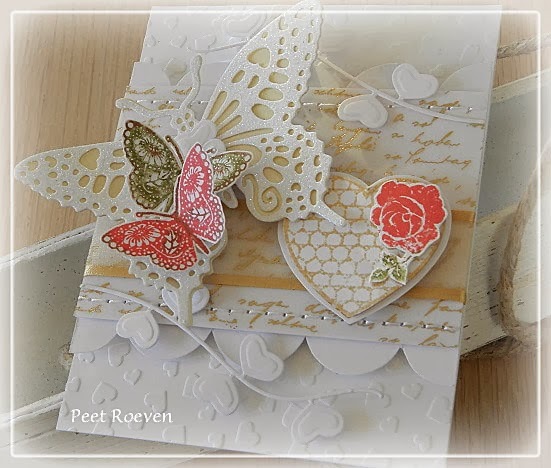 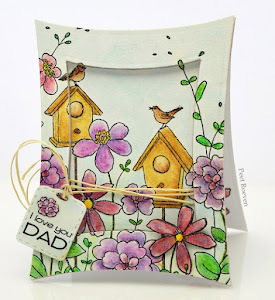 Also used: Delicate Wings (butterfly die), hearts white ep403 (embossed paper), Script Foil Vellum 60-012. 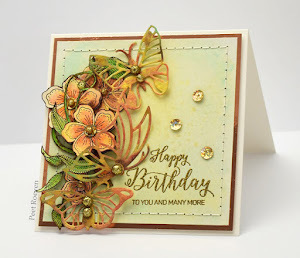 GlitterPaper, Versamark Watermark Ink and Gold Sparkle Embossing Powder, Distress Ink: Peeled Paint & Barn Door. 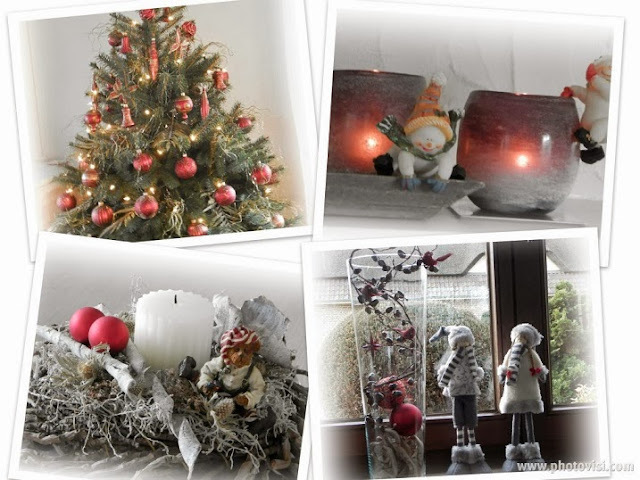 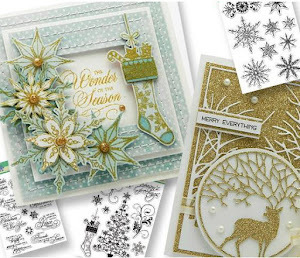 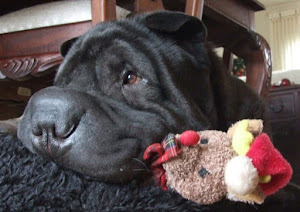 Penny Black: Love at Xmas (image), Yuletide Greetings (sentiment), Scrolls (creative dies). 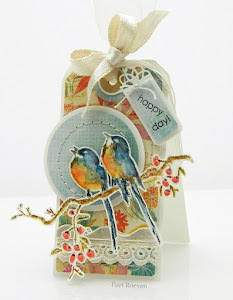 Elf Magic Paper from Bo Bunny, Martha Stewart Punch, Blue Pearls, White Organza Ribbon. 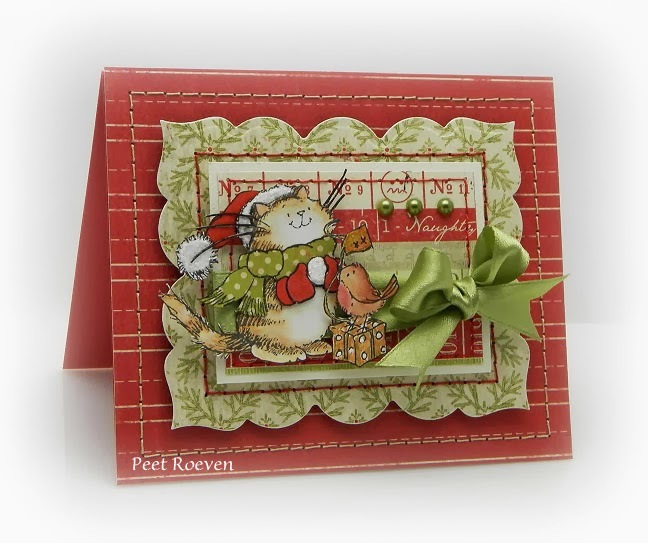 This sweet image is from Penny Black clear stamp set Christmas Joy. 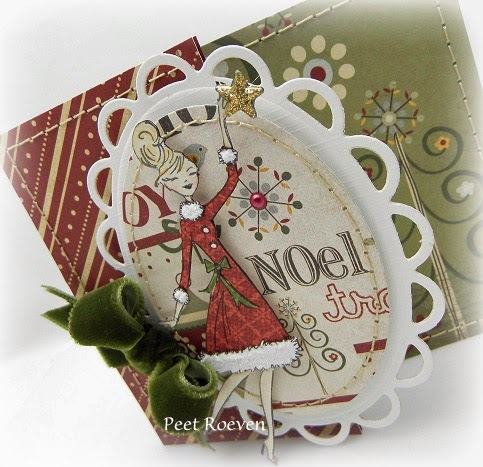 Joyous paper by Authentique, Spellbinders Dies, Green Pearls & Satin Ribbon. 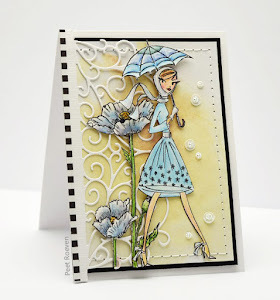 For this card was used Penny Black's Bright Star woodmounted stamp. 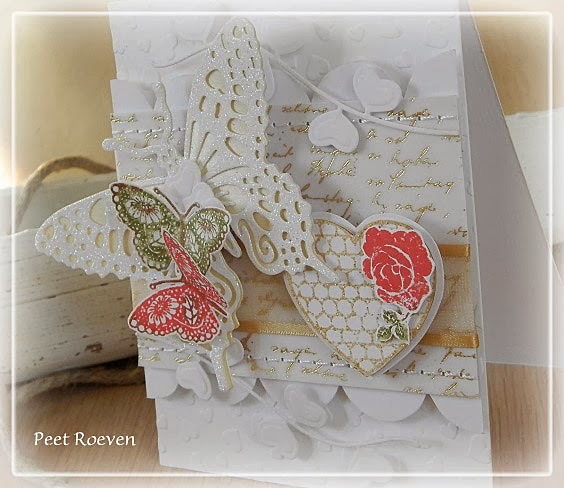 Spellbinders Dies - lacey ovales & Ovals, White Glitter Powder, Velvet Ribbon, Pearls. 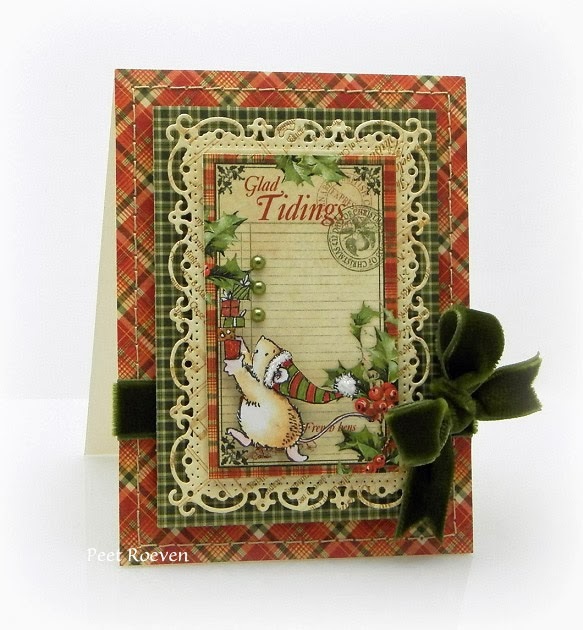 This sweet little Christmas mouse is from Penny Black Christmas Joy clearstamp set. 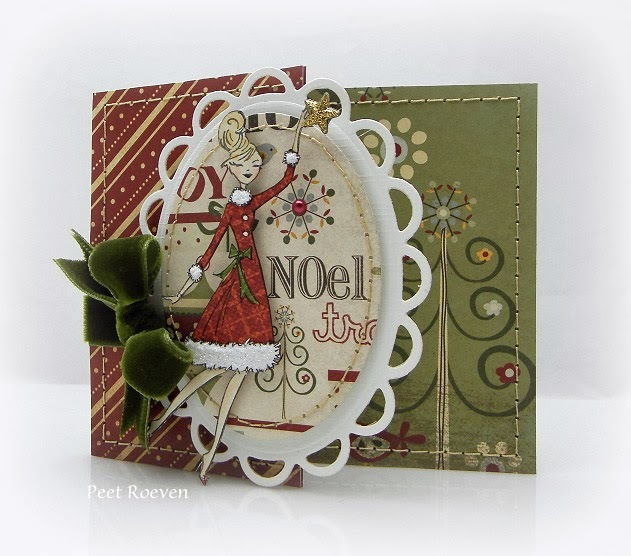 Green velvet Ribbon and Pearls, Spellbinders timeless rectangle dies. 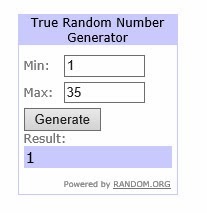 Gefeliciteerd Alie. Stuur je me even een email met je adresgegevens, dan stuur ik de stempels naar je toe.